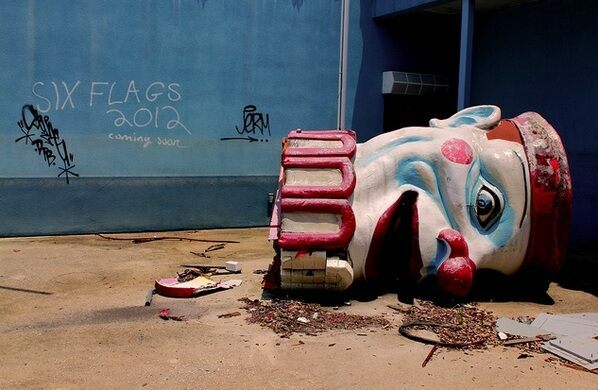 A theme park that suffered massive flooding during Katrina, abandoned and proving irresistible to trespassing explorers. 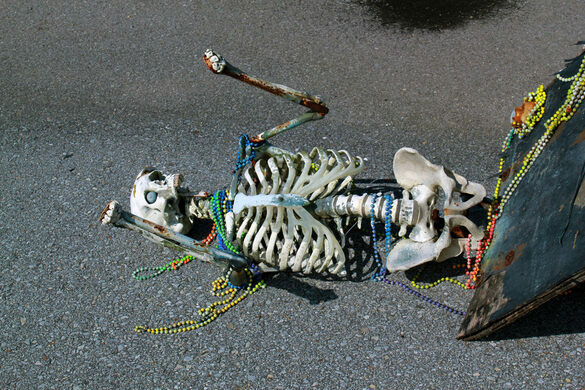 On August 29th, 2005, Hurricane Katrina struck the Gulf Coast, washing out several areas of New Orleans and submerging lives and properties beneath flood waters some feared would never recede. Once defending the city of New Orleans from invasion by sea, this fort faces an uncertain future. Storyville was New Orleans' historic red light district and hotbed of jazz music, sometimes referred to simply as "The District." Formerly known as National D-Day Museum, this collection commemorates the battle of Normandy and WWII. The traumatic disaster stayed in the national consciousness as the deadliest natural catastrophe in recent memory. 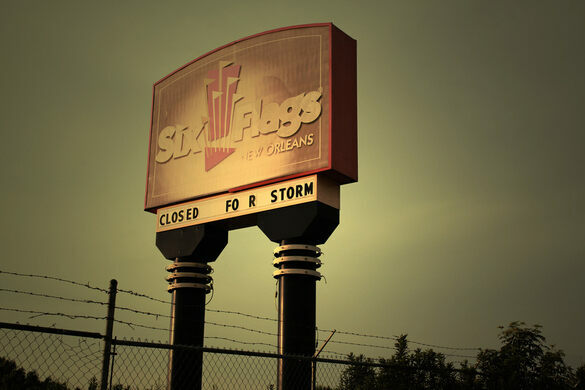 Katrina’s wrath left behind a glut of dystopian landscapes, and it didn’t spare the Six Flags amusement park, whose contents sank and rose along with the tide until all that was left was something that resembled a post-Atlantis wonderland. Murky water rose to six feet high throughout the park, where it turned concession stands upside down and roller coasters into massive and hopeless sea snakes. 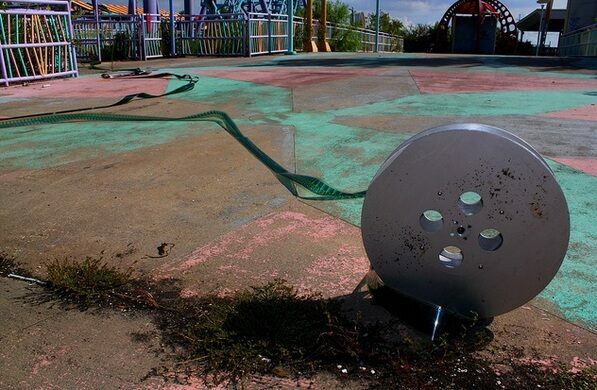 The swampy-tinged tide, relentless rainwater and corrosive saltwater from the coast remained stagnant in the area for several weeks and destroyed 80% of the park equipment and rides. 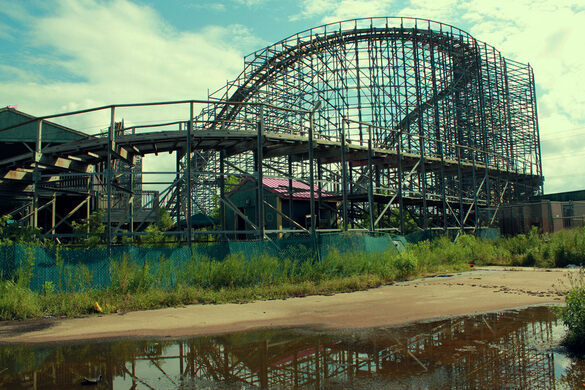 A notable exception was the Batman roller coaster, which escaped relatively unscathed due to its location on an elevated platform. 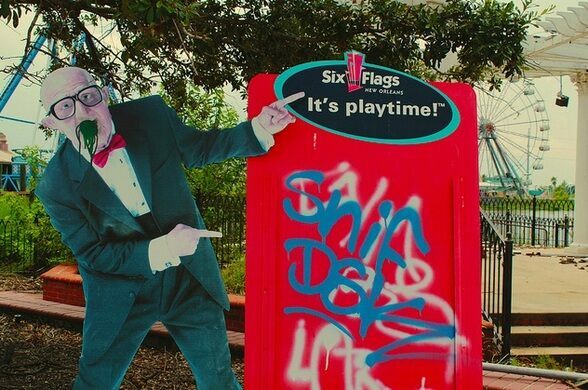 Judged too expensive to restore and thus slated for demolition by the Six Flags corporation, the defunct park fell into disrepair – a pastel-colored ghost town haunted by silence and disenchantment. 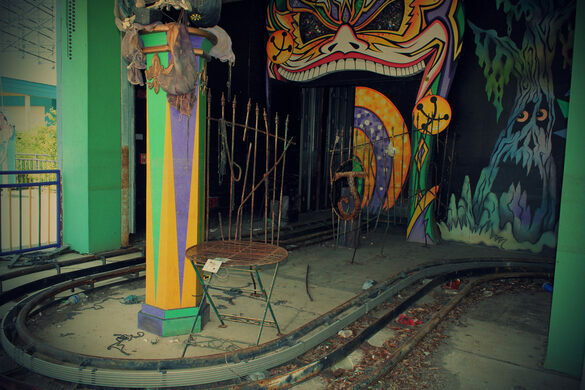 Of course, muddy clowns, smashed mermaids, and Mardi Gras figures stuck in an apocalyptic freeze-frame are hard to resist for adventurous disaster tourists, so the ruins of this amusement park have attracted legions of urban explorers, who hop the fence and trespass to experience a captivating walk through the devastated funland. If you decide to join them, please be warned that entry to the abandoned park is illegal – enter at your own risk. The crumbling remains of a 19th-Century fortess. A 19th-century shrine covered with prosthetic body parts as votive offerings. A prime example of New Orleans' unique architecture these early 20th century homes were built to look like steamboats. An abandoned water park overtaken by the dunes. 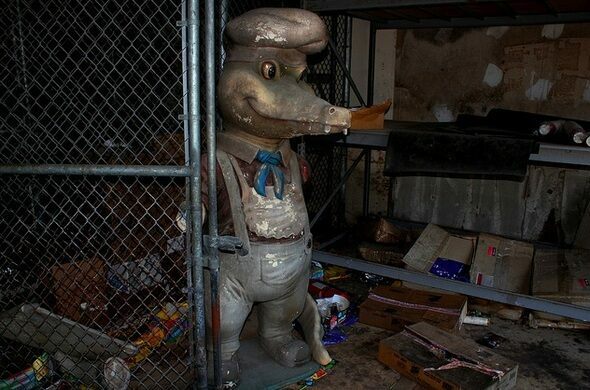 This fairy tale-themed amusement park is now abandoned, and childhood metaphors abound. 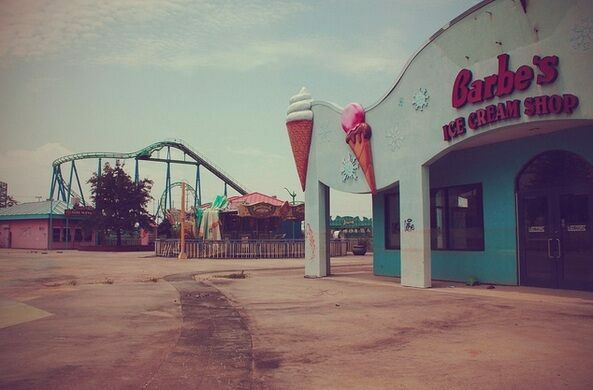 The once abandoned ruins of a Victorian beachside amusement park are now back in working order. Abandoned waterpark turned counter-culture mecca.